The Fulton High School PRISM Club welcomes all lesbian, gay, bisexual, transgendered, queer, questioning students and their straight allies to come together for education, support and fun. Through group discussion, social activities and sexual orientation/gender identity education PRISM hopes to create a safe place of support, reduce isolation and depression in LGBTQ youth as well as help create a safe school environment free from homophobia, sexual, verbal and physical harassment. Listen on KCOU – 88.1fm or livestream at kcou.fm every Wednesday from 3 – 4 pm (Spring 2013). Podcasts available online. The Leadership through Education & Advocacy for the Deaf, offers Domestic Violence and Sexual Assault Programs, Drug and Alcohol Programs, HIV/Aids Awareness Programs, Training and Education for all of these programs and a 24 hour Crisis Line, all under one roof. 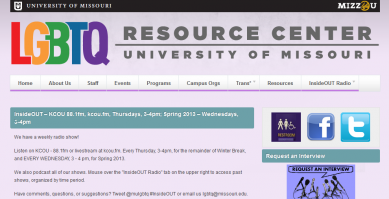 The MU LGBTQ (Lesbian, Gay, Bisexual, Transgender, Queer) Resource Center offers campus organizations, a radio show, programs, events, and many resources. 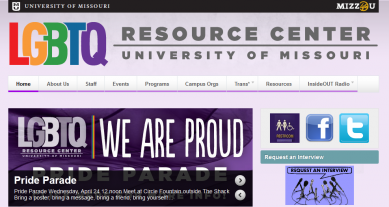 The Mid-Missouri Crisis Line is a 24-hour, toll-free, confidential crisis hotline number provided to Mid-Missouri residents in a 20 county area. 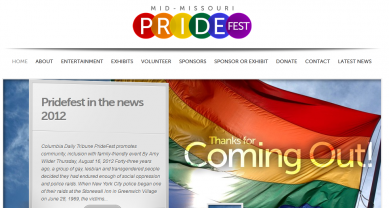 Mid-Missouri PrideFest is an annual celebration of the lesbian, gay, bisexual, transgender, queer, questioning and ally community in Mid-Missouri. This family-friendly event includes entertainment, food, vendors, information on community organizations, children’s activities and more. Parents, Families and Friends of Lesbians and Gays (PFLAG) promotes the health and well being of gay, lesbian, bisexual, and transgendered persons, their families, and their friends through support, education, and advocacy. PFLAG provides opportunity for dialogue about sexual orientation and gender identity, and acts to create a society that is healthy and respectful of human diversity. The Mid-Missouri/Columbia Chapter meets on the first Thursday at 7:00PM at The Center Project, 300 St. James, STE 104, Columbia, Missouri. 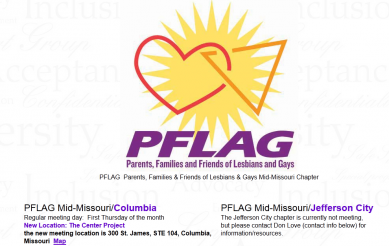 The Jefferson City Chapter of PFLAG (Parents, Families and Friends of Lesbians and Gays) is an organization comprised of the parents, families and friends of lesbian, gay, bisexual and transgendered persons, dedicated to celebrating diversity and envisioning a society that embraces everyone, including those of diverse sexual orientations and gender identities. The Jefferson City chapter is currently not meeting, but please contact Don Love, dmaclove@centurytel.net or (573)875-7918, for information/resources. 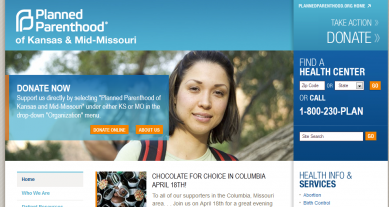 Planned Parenthood of Kansas and Mid-Missouri has provided access to reproductive health care to women and families since 1935. The reproductive health clinics are located in the Kansas City metro, Columbia and Warrensburg, MO.